Color Dodge is a free arcade game for Windows 8 and 8.1 computers. Developed by Teensy Studios, this game is bound to entertain you and put your brain reflexes to test. It seems as a simple game to play when you begin, but becomes difficult and equally addictive as you play it. 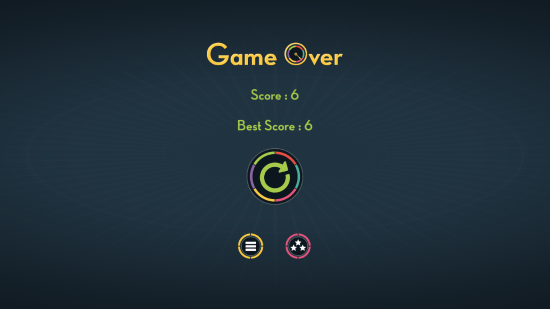 Be ready to play with a colorful circle and a rotating arrow. With minimal but high quality graphics and a pleasant background sound, this game will keep you bust for hours. Help yourself to grow focus by playing this amazing arcade game for Windows 8. 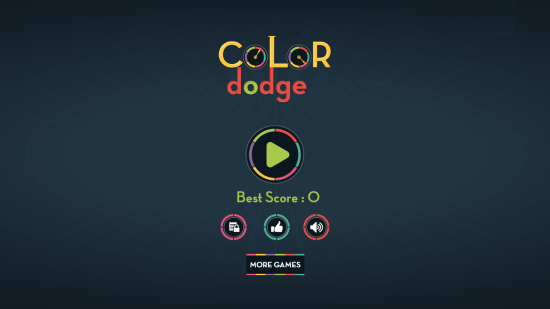 Color Dodge can be obtained easily from the Windows App Store. To download this arcade game for Windows 8, click on the link to download page mentioned below in the article. You can also go to the store, and search manually by typing its name in the search bar. Once you reach the game’s download page, you will have to click Install to download and install this 10 MB game. The game Installs automatically on your computer. The game simple to get hold of; what plays the most important role is your reflexes. There is a circle with 6 different colors with an arrow rotation through the center of the circle. 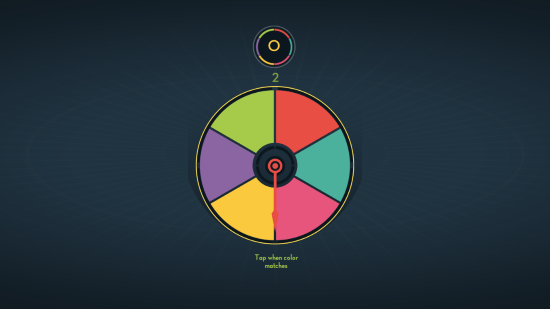 When the game begins, the arrow is of a color same as any of the 6 colors in the circle. Click mouse on the screen, when it reaches the portion of circle with same color. When you click it successfully, the arrow will change color and will also change the direction of rotation. Now you will have to click when the arrow reaches the section of the same color and continue doing it till you can. If you miss any color, the game ends then and there, and you will have to start all over again. Some times the same color section arrives too soon, sometimes it takes time in this arcade game for Windows 8. The speed also keeps increasing as you play this awesome game to test reflexes. Play as much as you can to make a high score. I scored 12 in a quick game, how much is yours? comment below. This arcade game for Windows 8 is a perfect one to put your brain to test. Visuals are perfectly fine and creates a very good environment to play this game. Make high scores and challenge your friends too. Download Color Dodge For Windows 8 and 8.1 computers.